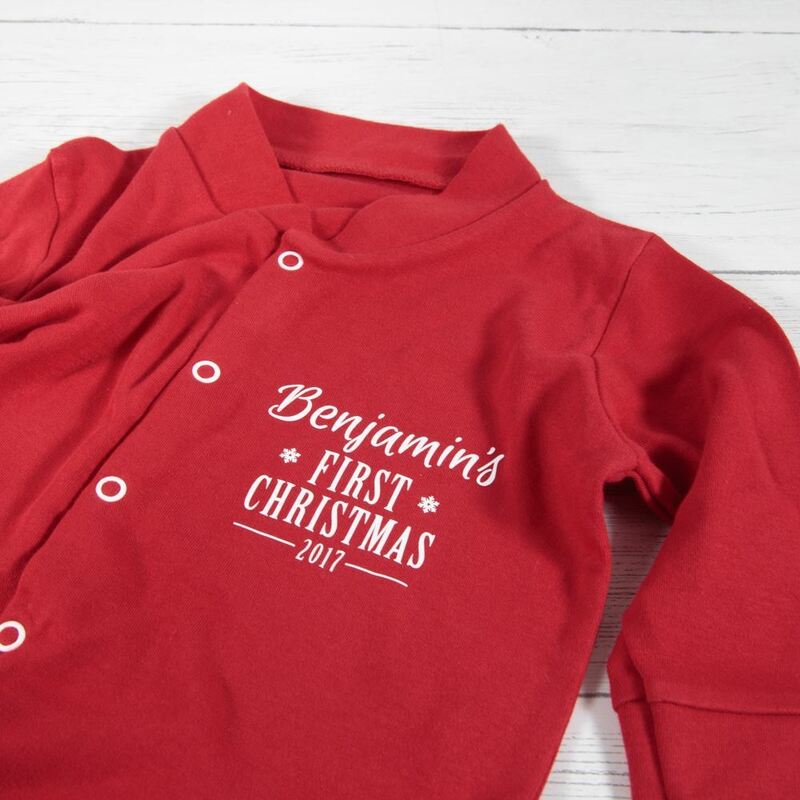 If you are celebrating your baby's first Christmas this year, our lovely Red sleepsuit not only makes a cute outfit for Christmas Eve but it's also a great keepsake for the future. 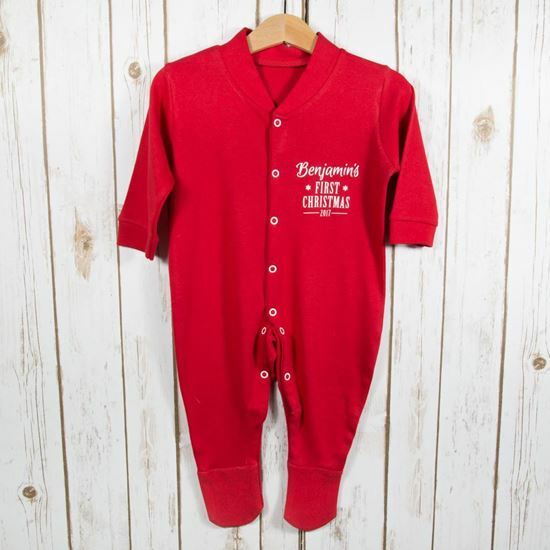 These full button sleepsuits allow for easy changing and they come with nickel free poppers. 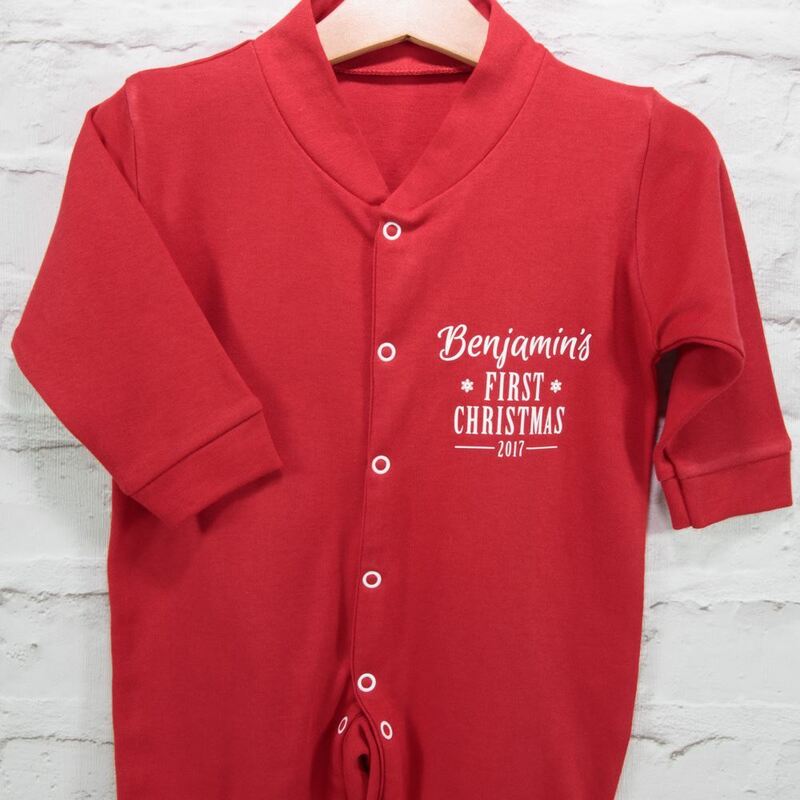 100% cotton, perfect for babies skin. Please enter the name of the child as you would like it to appear in the comments box when you place your order.